the 54th and final post! i thought i would never get here but here i am. Band aids are a pretty interesting product and never knew how many interesting things could be done with something so simple. 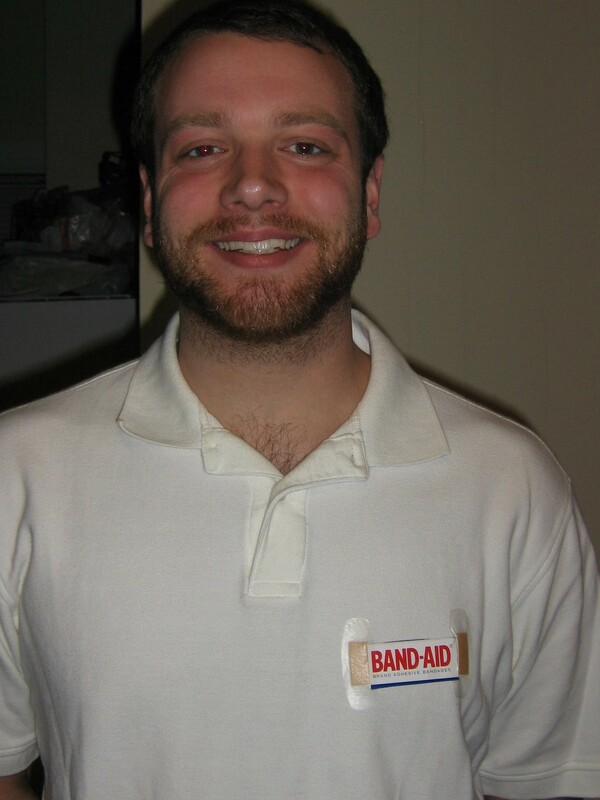 i have been around band aids so much that i think i wanna work for the company. i got my shirt ready and everything and i think im about to go apply for a job at their manufacturing plant. just kidding… but i think this would be the perfect shirt to wear to my interview if i change my mind! haha thank you project 54 for bringing out the creativity in me!